Identity created to represent the annual, week-long event. 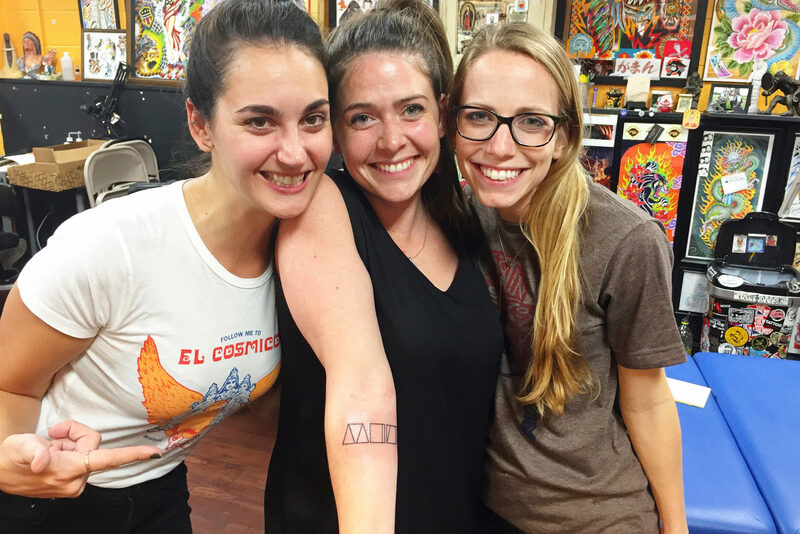 After a call-for-entries in the Austin design community, The Label Collective was chosen by Austin Design Week and the AIGA Austin Board of Directors to support them in their mission to unite designers across Austin as one community. 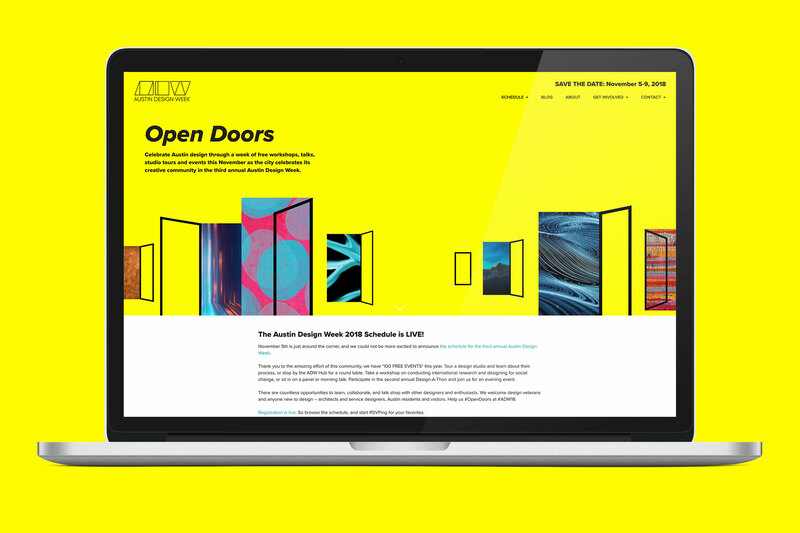 In its third year, Austin Design Week expanded to include 90 design-oriented workshops, studio tours, and evening events that are free to the public. It's been such an amazing experience working with The Label Collective. 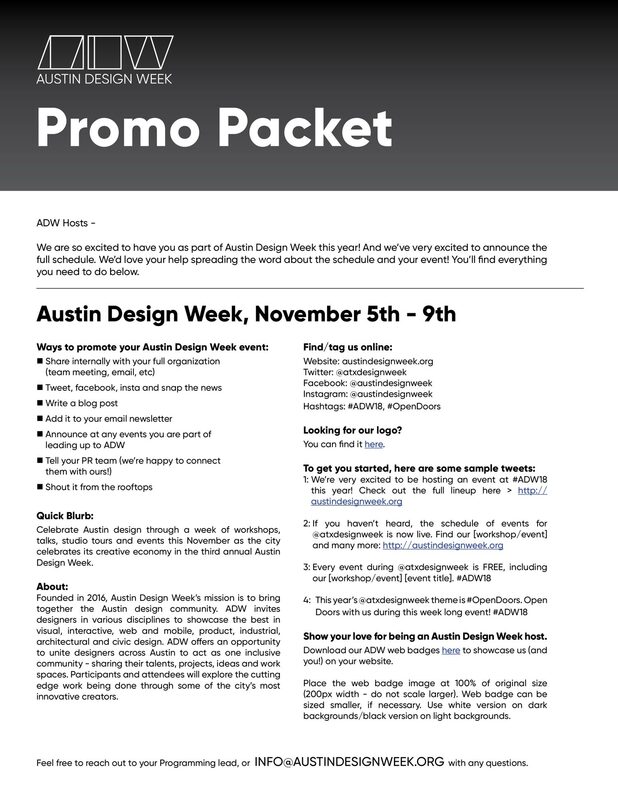 Austin Design Week was a new organization, that needed a strong look and feel to communicate what we were building. It isn't easy designing a brand for designers, and The Label Collective rose to the challenge. They really understood our mission, and what we wanted to communicate as a new organization, and built a strong brand for us around it. 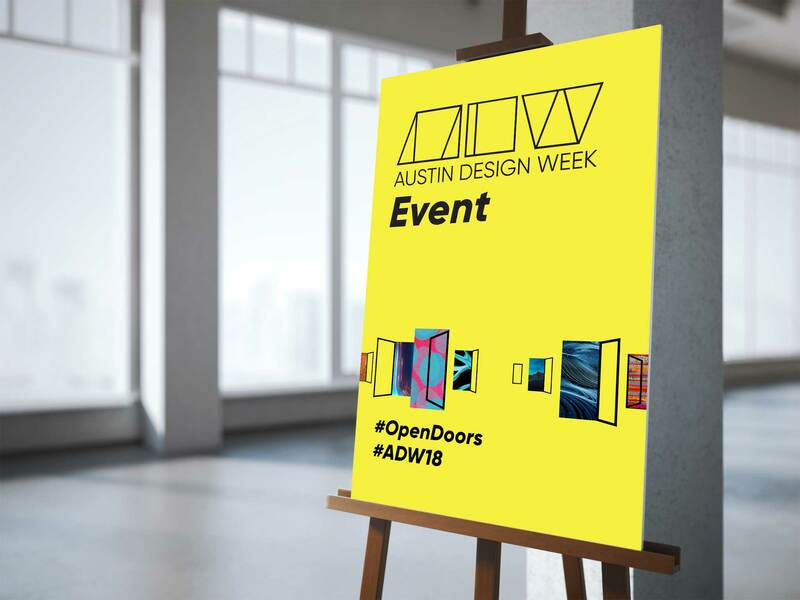 They helped us design the visual identity and all brand assets for Austin Design Week from the beginning, and have helped us keep a consistent brand, while designing for a new theme each year. The Label Collective not only came up with the design vision, but helped us think about what assets we'd need and when, and help us stay organized throughout the year. They are always responsive, proactive in anticipating our needs, and create beautiful designs that fit all our needs for Austin Design Week. We can't imagine Austin Design Week without the identity The Label Collective has created and helped maintain.